Real Estate Jurmala: Location, location, location! To find out more about the current situation in the real estate market in the Latvian coastal resort of Jūrmala, RigaNOW! 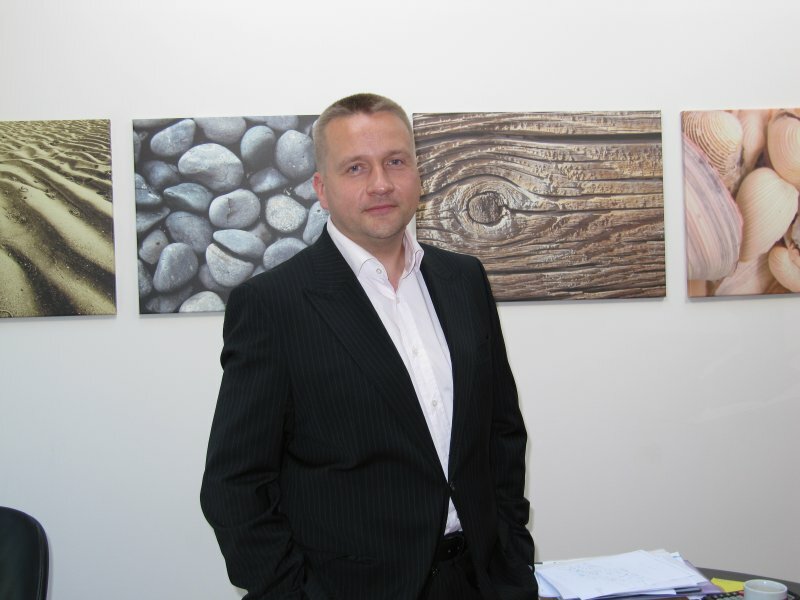 met Igors Daņiļevičs, founder and head of the company Real Estate Jurmala. Buffeted by economic turmoil, the Baltic real estate world has been transformed from a fast-moving seller’s paradise to a buyer’s market. In short, prices are down and supply is high. Why did you decide to create your own company? Real Estate Jurmala (REJ) was a natural answer to the situation in the real estate market. My colleagues and I have been working in other companies in this field, but as we have our own vision and opinion about the market, plus a good reputation, we established a highly competent team to work in Jūrmala. Our mission is to provide a high-quality service. It’s wrong to think that the real estate market is quiet. What are the changes you have seen in Jūrmala’s real estate scene recently? My personal opinion is that the crisis in real estate can bring many advantages, as I hope that this is the time to improve legislation related to real estate. The real estate in Latvia hasn't been subdivided clearly and there are no clear legislative borders outlining what elite property is, for example. New projects were mass-produced, but words like exclusive and elite were mentioned without any criteria. Projects were created without considering customer needs or wishes, just for the sake or building, but I think that if something is created then it should be done for a specific group of customers – with specific needs and sufficient amounts of money. Do you agree that the market has been transformed from a seller’s into a buyer’s market? Two or three years ago it was a seller’s market. But now is the time for buyers, for whom I would say there are plenty of options. Just two years ago, sellers were literally dictating the rules. In last six months, we have seen the challenge between the sellers and potential buyers. Both sides want to get the maximum out of the deal, but recently we’ve noticed new tendencies in the market – a new group of buyers who try to dump price, trying to buy properties from customers who are bleeding red ink and who need money quickly. The market has always been polluted by this kind of buyer. Myself, I would like to meet more direct buyers, but unfortunately they haven’t made it clear for themselves whether they are ready to buy now. Those decisions haven’t been made. When could the market bounce back? When will mortgage lending resume on terms acceptable to the banks and to borrowers. Do you think the crisis is correcting the market into something more adequate? I think that land was seriously overestimated, as the land itself is not usable; there should at least be a building on it. So I think that the prices for land were way too high. The real estate market regulates itself. There is no need to regulate it, and it is wrong to do so. Historically, foreigners from the east have been much more interested in Jūrmala than Europeans. Which are the most attractive properties? Apartments are extremely in demand. At the moment there are plenty of offers, including apartments in new construction projects. But if we think what the new project is itself – these are newly built, newly launched and holding out in the market. Unfortunately, today we can see that there are no projects in the process of building, and I think that not even after two years will other new projects start appearing, meaning that there won’t be new projects after quite a while. That will lead to problems; available apartments will become very pricey again as there won’t be new projects on the market. Interestingly, 80 percent of interest in apartments comes from non-residents, 20 percent from locals, but in houses and land 80 percent of interest comes from locals, 20 percent from foreigners. Note that every new project brings new money to Jūrmala city, providing new vacancies, and the city develops. If you drive around, you will see just a handful of new projects. Jūrmala has always been a resort city, with most of the inhabitants working in the service industry, but today this system has changed as many of the old sanatoriums are rebuilt into apartments. But altogether the city has not yet been developed according to modern standards. How can Jūrmala attract more tourists? Unfortunately, the city council hasn’t promoted itself well in foreign markets. All that has happened has happened itself. First we need to target those who are more easily accessible, and if we initially get more clients from the east we will be sure to attract more from the west too. Jūrmala is unique, because most of the clients who buy property here do so because of emotions, perhaps memories from childhood, a first love, etc. Is it correct to assume that there is a significant increase in interest from potential buyers during international festivals? No. It is wrong to think that whenever there’s a festival more real estate deals are made. Perhaps interest is born at that time, but it continues into the autumn or the following spring. However, Jūrmala is a great place as there’s so much peace and quiet, wonderful sea air, the sea itself and a moderate climate. But it is hard to evaluate how much it should cost to be able to see the sea from your own window. Is it the right time to buy elite real estate? There are two trends in the market right now – to buy very cheap properties or buy expensive projects and gain the maximum discount. Every year we have the same problem – the market is not ready to offer what the clients want and need. As I said before, the project developers should think who they are building properties for. Developers think differently – what is the maximum number of useful square meters I can get out of this piece of land? That’s the biggest mistake. In my opinion, real estate is one of the most liquid assets, if you sell when the rest are buying and buy when the rest are selling. In general, it’s not possible to lose money in real estate if you think globally, as real estate is not a short-term investment.